Richard Schooley instills the passion in clients to strive for financial independence and makes sure they have the discipline to achieve their goals by designing customized plans that deliver results. Rich has been serving individuals and business owners for more than 20 years. He provides a high level of service and attention to each of his clients, and his depth of experience enables him to share important investment and planning insight that helps his clients to navigate varied and unpredictable investment environments. As a Chartered Retirement Plans SpecialistSM (CRPS), Rich provides advice and guidance to employers offering defined benefit and defined contribution plans. He has also earned his Certified Investment Management Analyst (CIMA®) designation which signifies a high level of consulting expertise with asset allocation, ethics, due diligence, risk measurement, investment policy and performance measurement. Rich earned his B.S. in Aviation Maintenance Management from Embry Riddle Aeronautical University. Clients can expect the experienced team of professionals at Dogwood Wealth Advisors to work together to deliver quality advice and build strong relationships by employing a multi-step consultative wealth management process to address their most pressing financial challenges. Rich and the team assist clients in developing a knowledge base from which they can form realistic expectations and a disciplined investment program. It is Rich's belief that making sense out of volatile markets and delivering first-class service can only be accomplished through close relationships with his clients. 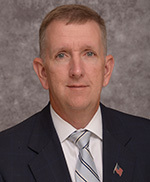 Having been an Army Infantryman from 1984 to 1987, Rich is proud to serve as a Board Member on the Sua Sponte Foundation which supports Army Rangers in Savannah, GA. Rich is also on the Board of Trustees for the Savannah Christian Preparatory School. Rich enjoys spending time with his family. For fun and relaxation, he enjoys various outdoor activities, including hunting, fishing, camping, hiking and shooting. He is also an active member of the Wesley Monumental United Methodist Church. Investments & Wealth Institute™ (The Institute) is the owner of the certification marks "CIMA," and "Certified Investment Management Analyst." Use of CIMA, and/or Certified Investment Management Analyst signifies that the user has successfully completed The Institute's initial and ongoing credentialing requirements for investment management professionals.